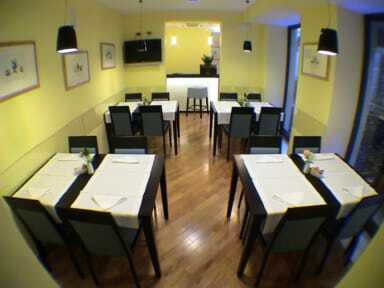 The hotel is an early 1900 Liberty style building, totally renovated, equipped with all the modern comforts. The hotel is a petite architecture managed by the owners, for it you can find in the hotel the same attentions you can have in family. 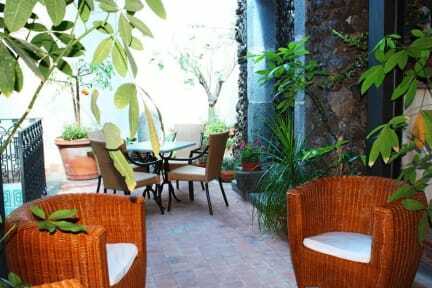 The hotel is located a few minutes walking from the train station and from the city center of Catania, and the main point of interest of the city. The building is equipped with photovoltaic cell to solar electricity production and thermal collectors to solar hot water production. In the property there is an original and comfortable terrace, decorated in Sicilian style, where you can relax admiring the typical Sicilian plants and decorations. All the accommodations are well equipped with air conditioning, bathroom with shower and hairdryer, telephone, mini bar, mini safe, internet Wi-Fi internet connection, TV, wakeup and facilities for disabled people. A buffet breakfast is served in the breakfast room from 7.30 a.m. until 10.30 a.m. Hotel facilities: Front desk, fax service, Credit card accepted, Meeting room, Lift/elevator, Luggage room, Access for disabled, Air conditioning and much more. Pet friendly (€ 10.00 per night per pet).